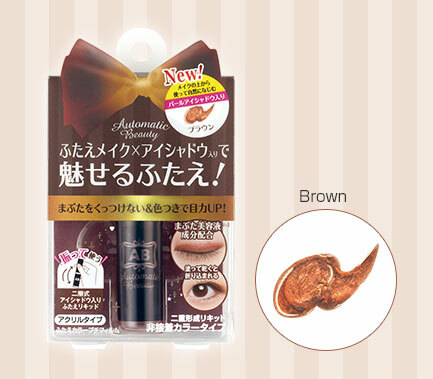 Shake AB Double Eyelid Color Petit Film well. 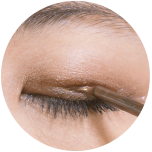 Find the lines that will help you make double eyelids easily. Don't get greedy with the double eyelids' width! 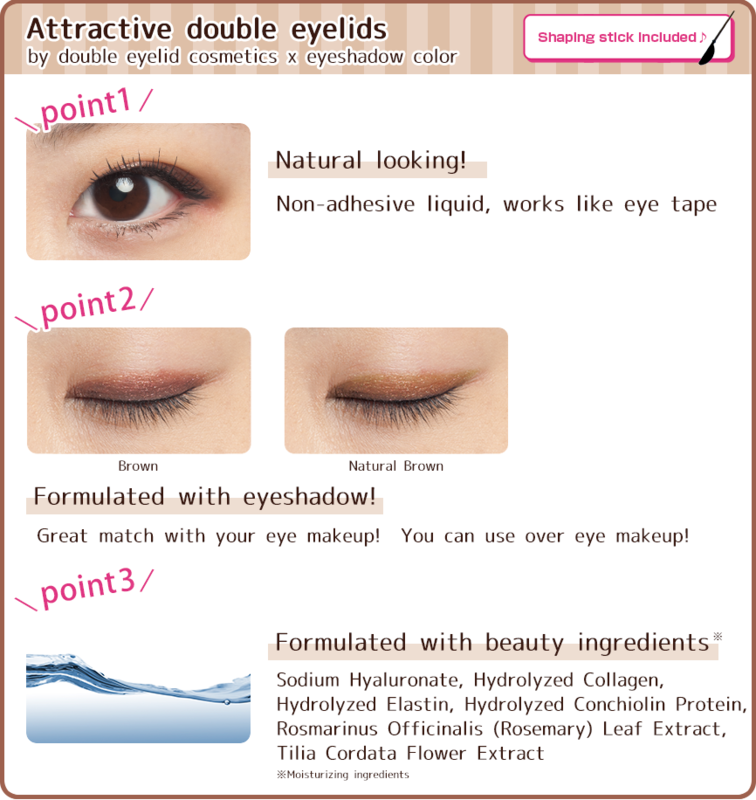 Apply the Double Eyelid Color Petit Film below the double eyelid lines you wish to make while matching their curve. This will make a membrane (film) on the surface of your eyelid. 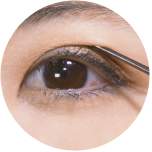 Use the stick to keep the double eyelid line in place and slowly open your eye. Carefully apply the finishing touches while ensuring that the membrane doesn't get wrinkled. 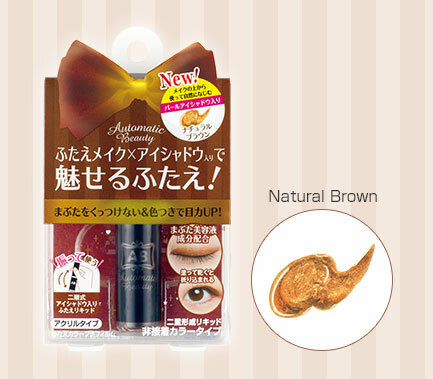 AB Double Eyelid Color Petit Film is great match with eye makeup. 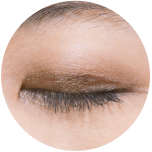 If you use brown eyeshadow over the AB Double Eyelid Color Petit Film, it looks more natural. 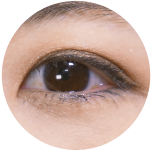 Individual results may vary depending on cosmetic items you use over the membrane (film) of AB Double Eyelid Color Petit Film. 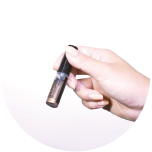 ・Carefully observe for any allergic conditions, and if there are any changes in the appearance of your skin ･Do not use on irritated skin, reddened skin, on wounds, on damaged skin, or if you have any irritation on eye, eyelid or skin. 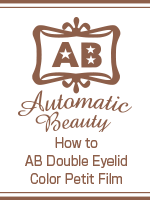 ・During use if you experience redness, swelling, itching, decolorization (vitiligo) or darkening on skin, stop use and consult a physician. Continued use may cause further symptoms. ・Do not use if you have an allergic condition. ・Do not wear to sleep. 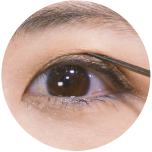 You may damage the skin if you rub your eyes excessively when removing .・Keep container tightly closed when not in use, keep away from direct sunlight and avoid storing in extreme temperatures.・Keep out of reach of children and pets.・Be careful not to poke eyes with shaping stick. ･After use, close lid tightly. ・After use, wipe off the mouth of container with tissue paper. If any liquid on the stem inside cap hardens, use tweezers and remove to avoid any spilling. Copyright:(C)2004- DearLaura Corporation. All Rights Reserved.